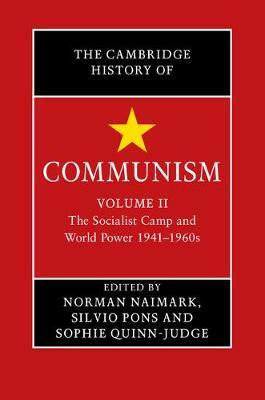 The second volume of The Cambridge History of Communism explores the rise of Communist states and movements after World War II. Leading experts analyze archival sources from formerly Communist states to re-examine the limits to Moscow's control of its satellites; the de-Stalinization of 1956; Communist reform movements; the rise and fall of the Sino-Soviet alliance; the growth of Communism in Asia, Africa and Latin America; and the effects of the Sino-Soviet split on world Communism. Chapters explore the cultures of Communism in the United States, Western Europe and China, and the conflicts engendered by nationalism and the continued need for support from Moscow. With the danger of a new Cold War developing between former and current Communist states and the West, this account of the roots, development and dissolution of the socialist bloc is essential reading.